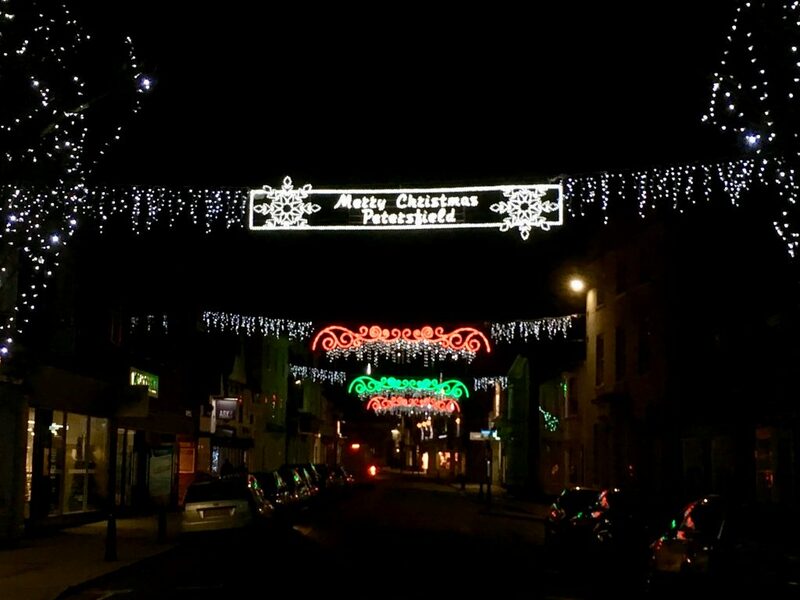 Petersfield Town Council have been organising the Petersfield Christmas Light Switch On since 2013 when they took over the responsibility from the Association of Petersfield Businesses (APB). The 2018 Light Switch On Event saw a record turn out of around two thousand people. There was a great community atmosphere and we were blessed with good weather for a change! Thank you to the individual shops who took up the offer of a wall-mounted tree and all those who remained open for the duration of the event into the evening for our late night shopping event. We hope that even more shops will remain open until 8pm next year! We would like to also thank our sponsor this year who were newcomer to the square Mint Velvet. 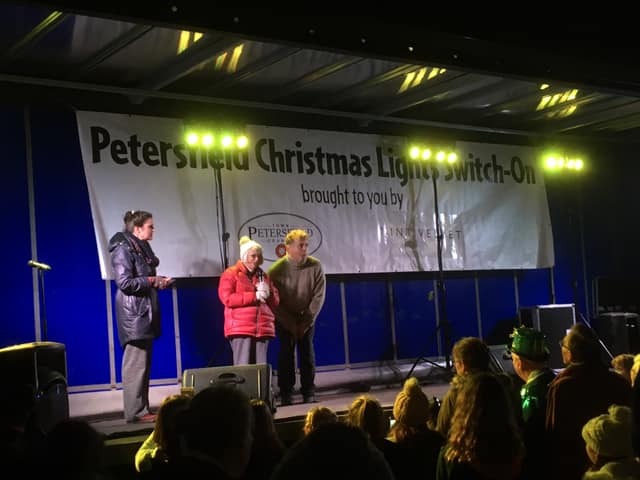 Town Mayor Hilary Ayer turned on the lights with the assistance of Petersfield Personality 2018. 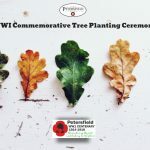 It is thought that it may become a tradition in future years for the Petersfield Personality (Hometown Festivals) to inherit the sole responsibility for this honorable task.